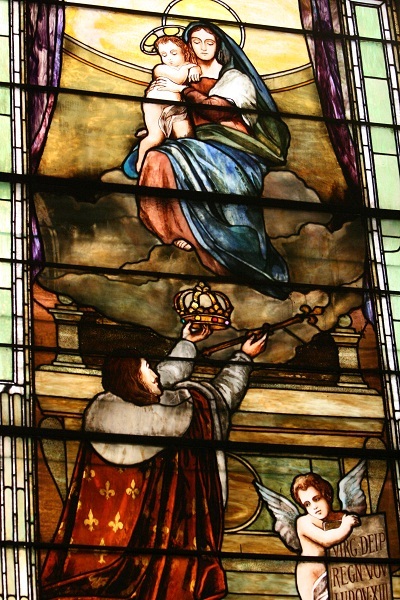 A visit of the bishop of Nancy to New York in 1841 galvanized a French community, present in the city for many decades, to organize its own national parish. The bishop himself provided the seed money. The fruit of these efforts was the church of St. Vincent de Paul, opened the following year on Canal Street. The growing congregation soon decided to move away from that era’s “business district” and, under the dynamic leadership of Fr. 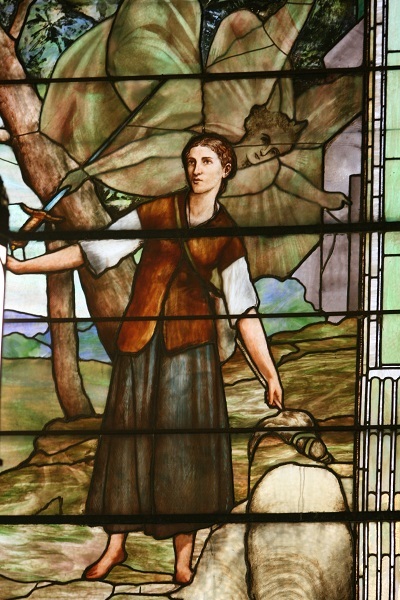 Annet Lafont of the Fathers of Mercy, commenced building a new church at the present location on West 23rd Street in 1857. The church was dedicated on May 9, 1868 by Archbishop McCloskey. 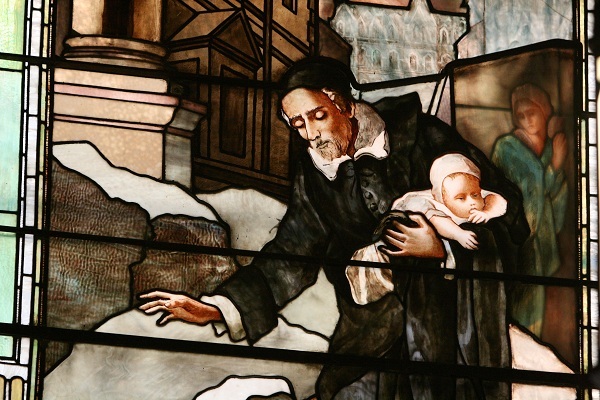 Like so many other parishes in the second half of the 19th century, St. Vincent de Paul soon became the spiritual and organizational center of innumerable activities serving the needs primarily of the French-speaking population of New York. 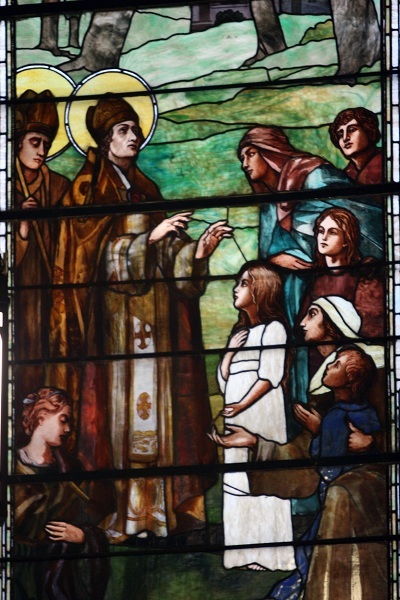 Between 1857 and 1914 the parish established a parochial school, of course, but also a hospital, what we would call today a “day care center,” a home for immigrant girls, an orphanage, a home for elderly women and even, though it only had a temporary existence, a college! And all this was for one of the smaller national groups making up the New York Archdiocese of the time! The vital role of this parish in the French community persisted through the first half of the 20th century. In 1939 an elegant new classical facade replaced the unfinished original – it had never received its planned two towers. The parish continued to serve as an initial base for French speaking immigrants – and during and after the Second World War, refugees. A high point – at least in terms of publicity – was the marriage of Edith Piaf in 1952 – with Marlene Dietrich as matron of honor! But this parish suffered, as did most of its sisters, through the dark years of the 1960’s and 70’s. The original parish population dispersed. French nationals in New York now lived primarily in the suburbs (Westchester). 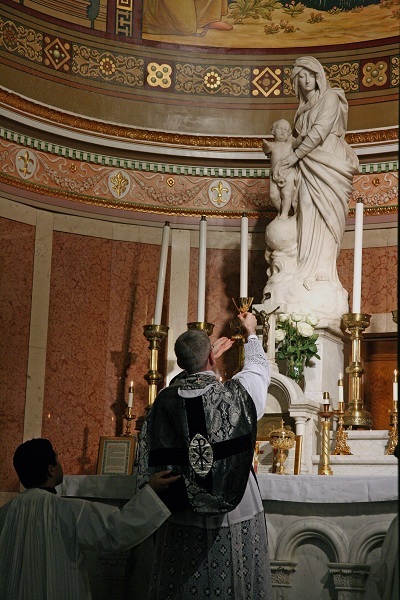 I frankly doubt that the more recent arrivals from France – those active in banking, finance, the “culinary arts” and entertainment – are overly interested in maintaining the Catholic faith in Manhattan. Only now and then you can you meet one of the original French community. The church building itself suffered severe neglect. On the bright side, however, was a growing presence of French speakers from Africa or Haiti. 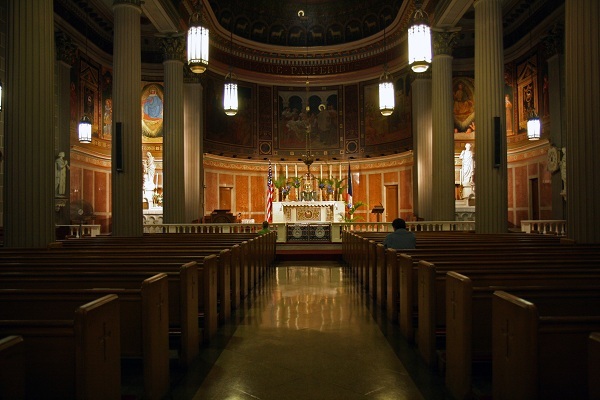 The interior of the church is neoclassical – a barrel-vaulted nave supported by rows of Corinthian columns. 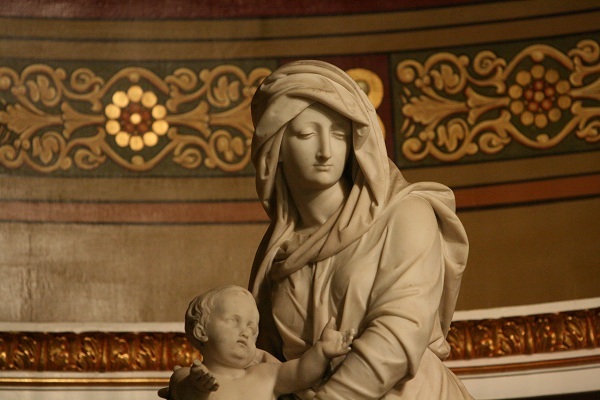 It seems distantly inspired by the style of certain parish churches erected in Paris in the 1820’s and 1830’s like Notre Dame de Lorette or Notre Dame de Bonne Nouvelle. 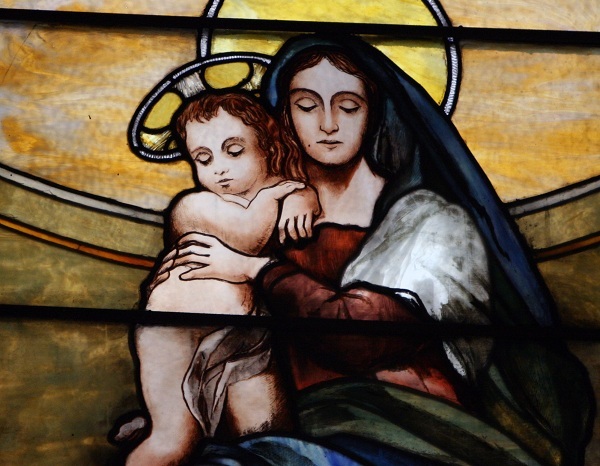 This style seems to reappear in French national churches as far distant as St. Louis in Moscow. 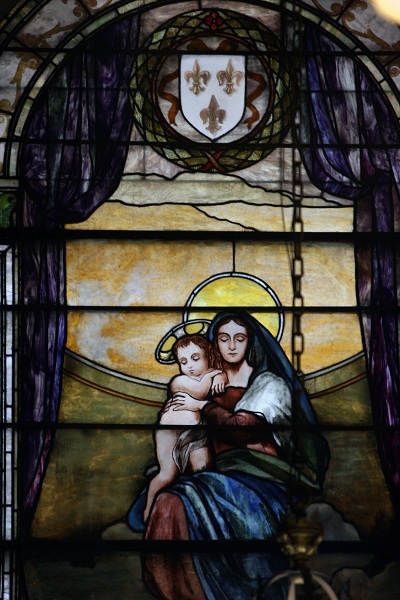 Does the retention of the classical architectural idiom for St. Vincent de Paul in the 1860’s – long after it had been displaced for ecclesiastical purposes by Gothic elsewhere in the city – reflect the French national commitment of the parish? The original facade, on the other hand, conformed much more closely to the expectations of 1860’s Catholic New York. 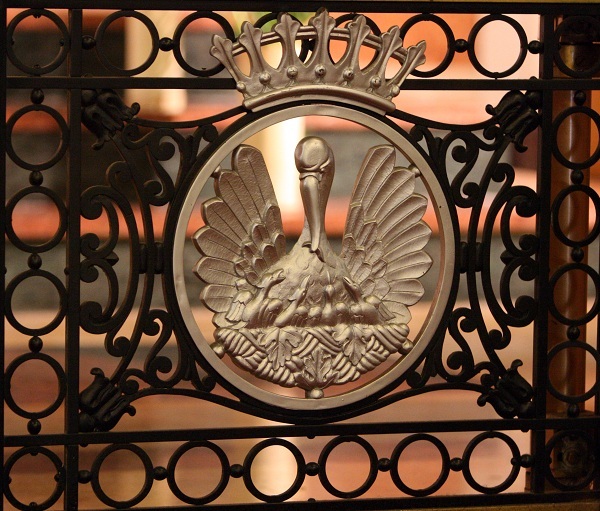 The gate of the communion rail. 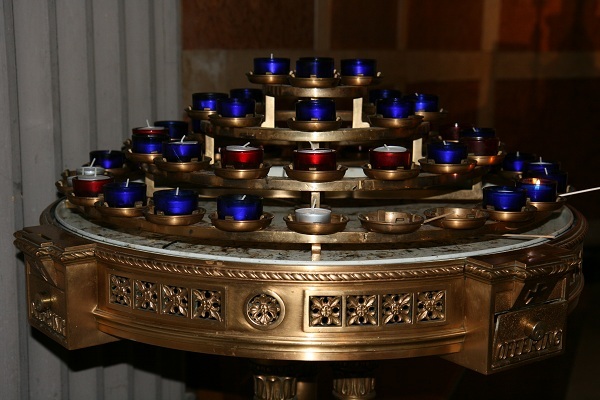 A stand for votive candles- the metalwork throughout the church is of outstanding quality. 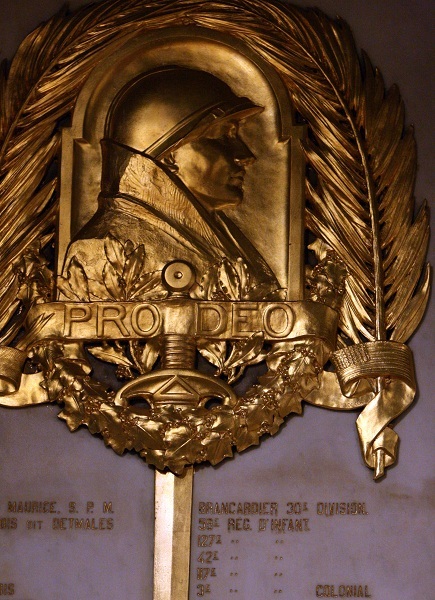 There is a shrine and plaques commemorating those who served and died in the two world wars. 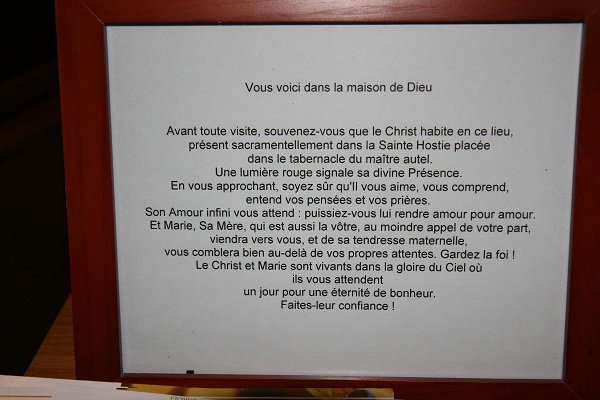 There are numerous exhortations and inscriptions in the language of the original parishioners. 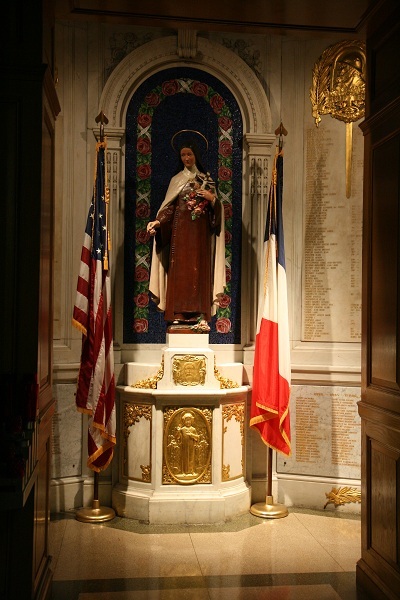 (Above) This statue on a side altar is a copy of the famous image in the Paris pilgrimage church of Notre Dame des Victoires. 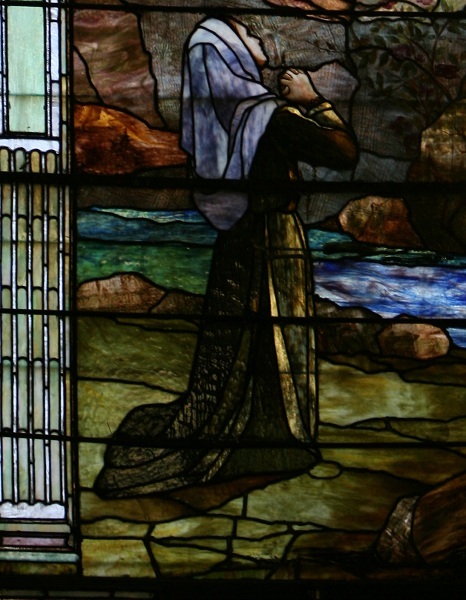 A special treasure of St. Vincent de Paul are the stained glass windows, created, as a more modest source puts it, “in the Tiffany style.” They follow a unique, unashamedly national program, narrating the history of France and her Faith. 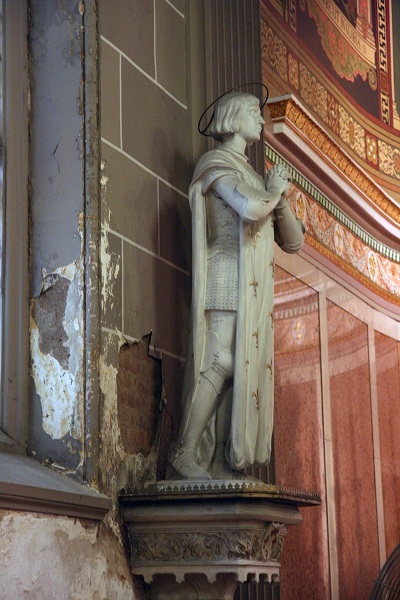 The conversion of the Franks, the early bishops, Joan of Arc, Louis XIII, St. Vincent de Paul, Lourdes: it is a magnificent progression of events famous and obscure executed in a harmonious classical style perfectly adapted to this church. 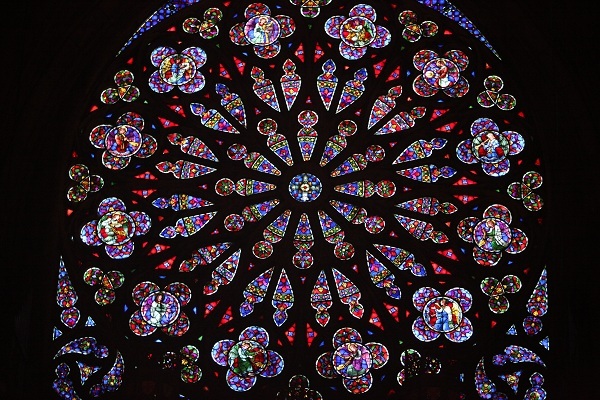 The windows celebrate the union of Faith and nation, so abhorrent to liberals and the conciliar Church. For it was this deep rootedness in the nation that enabled an influential minority in France to sustain and preserve Traditional Catholicism after 1962. 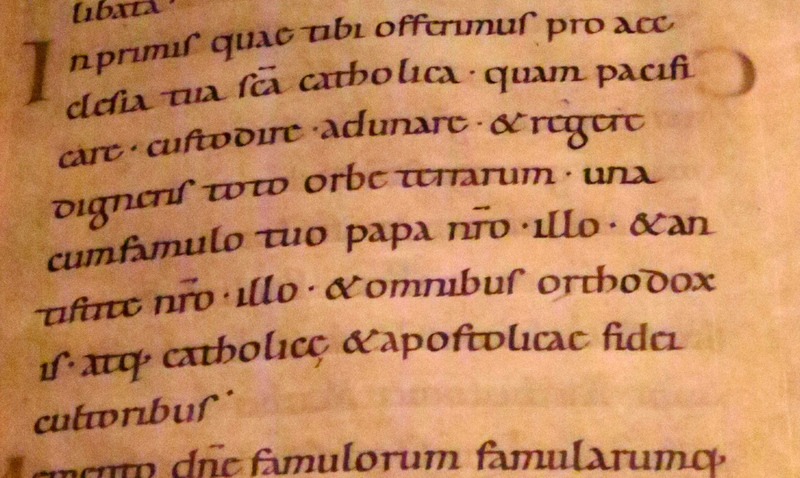 St. Bernard of Clairvaux and Crusaders? The vow of Louis XIII (the dedication of France to the Virgin Mary in 1638 in gratitude for the birth of the future king Louis XIV). The design of this window is borrowed from the famous 1824 painting by Ingres. 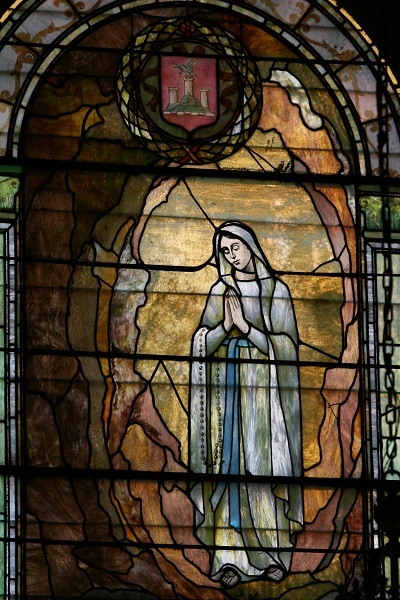 Bernadette and the miracle of Lourdes. 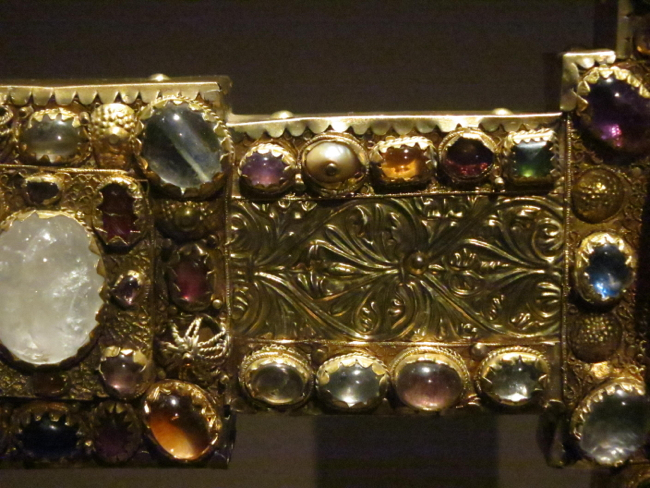 It would seem to be lunacy to destroy such a precious inheritance of art and history. Yet the Archdiocese did indeed propose closing this church in 2007 – undoubtedly tempted by the rising real estate values in the ever trendier neighborhood of Chelsea. This, even though attendance had almost doubled in the preceding 8 years. Protests erupted – ignored here but picked up by the mainstream French press. One parishioner, Olga Statz, became a one woman army of resistance. She wrote movingly of her experiences growing up in St. Vincent de Paul and of the role of that church, starting from the days of Fr. Lafont, in the life of French-speaking blacks in New York. 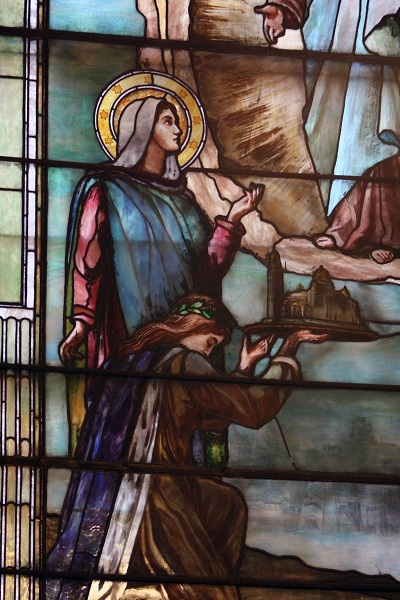 She conducted tours pointing out the artistic heritage of the church. She established contacts with French community – including its diplomatic representatives. Even a fashion event was organized! Olga Statz brought her message to quarters usually considered unreceptive to all things Catholic and helped shine the light on this church’s historical heritage, beauty, international connections and importance to the local community – all matters utterly outside the scope of understanding of the Archdiocesan planners. For whatever reason, in the end this church was spared closure under Cardinal Egan. Yet only five years after the 2007 “realignment,” the Archdiocese is once again working on a massive program of closing churches – especially in the city of New York. Such “downsizing” – as so often in the corporate world – serves only to avoid confronting the real problems – deficiencies in faith and mission. The inability to graduate more than a handful of new priests, the demoralization and indifferent religious practice of the laity, the clergy’s lack of any sense of mission, the widespread conformity, in varying degrees and by nearly everyone, to this world and its immorality -sexual and economic – these are the factors killing the Faith, not demographic change or declining financial resources. We do not know what the future may bring. 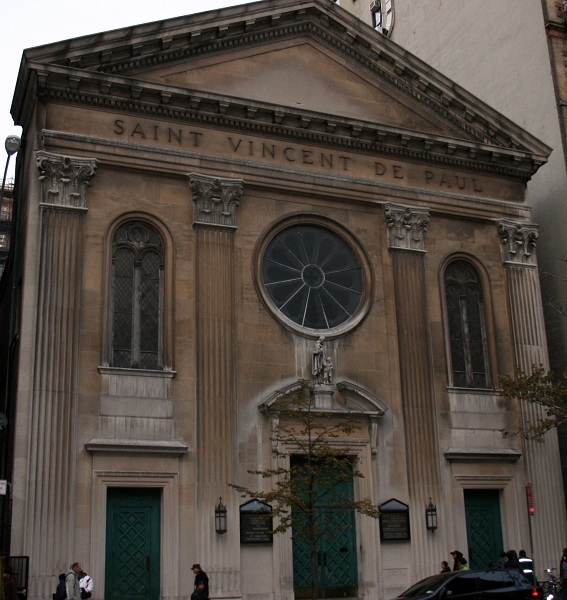 But we pray that this wonderful church of St Vincent de Paul will survive the renewed wave of “realignment” to serve as a refuge and as a base for the restoration of the sacred in New York City. 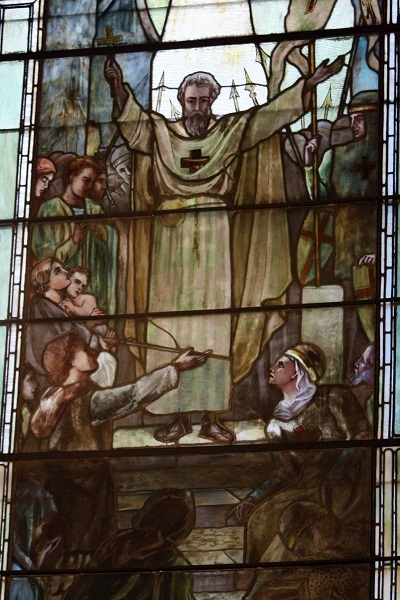 St. Vincent de Paul has served as a place of celebration of the Traditional rite of St Gregory the Great. 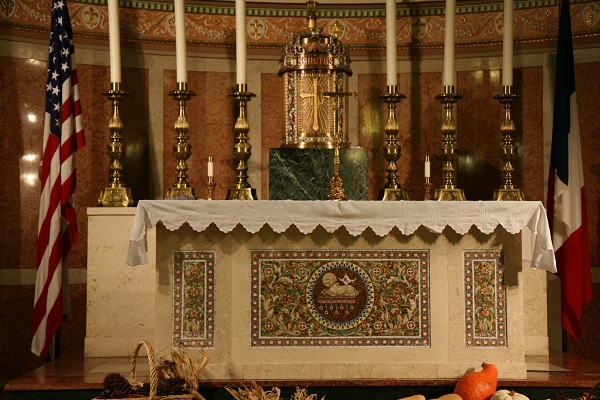 Unfortunately, after a so-called “restoration” carried out at some point in the past, the main altar appears ill- adapted to celebration of the Traditional mass. The Virgin and the authentic coat of arms of France. 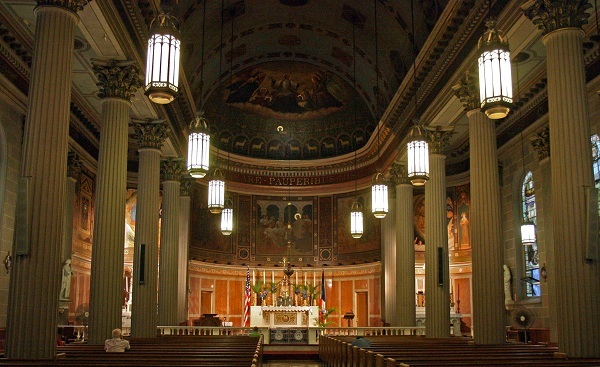 NOTE: The Catholic Artists Society will sponsor an evening of recollection for artists and media professionals on Thursday, March 1st at 7pm at the Church of St. Vincent de Paul, 123 W. 23rd Street. 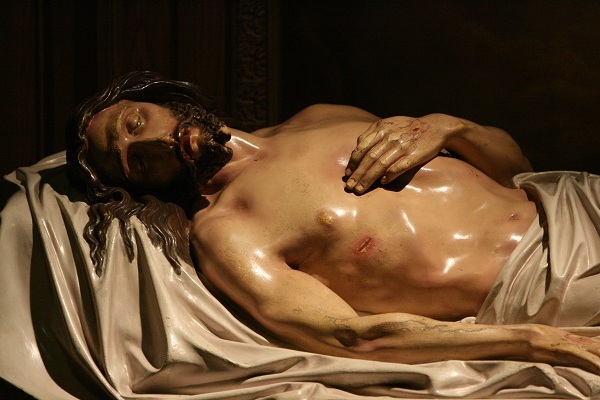 Father Gerald Murray, the pastor of St. Vincent de Paul, will offer a meditation on themes related to the work and spiritual life of the artist. There will be opportunity for confession and silent adoration of the Blessed Sacrament, followed by Solemn Benediction and a reception afterwards. Delighted by your article and the photos are wonderful. Paticularly moved by the traditional Catholic view brought out in the piece and in the photos of the altar. I just posted a photo on Flickr of the church in it’s current state. The votive statue of St. Vincent has been removed as have the windows and the extern sign. It was a gem. Blame Second Vatican. Thorns do not put forth figs.